A former WIBF Champion for Women award winner, Vivienne also chairs the AFME Data Protection Working Group, the International Regulatory Strategy Group Data Working Group and is an active participant of the Data Working Group at the BBA, as well as a Steering Committee member for the Technology Discussion Group. 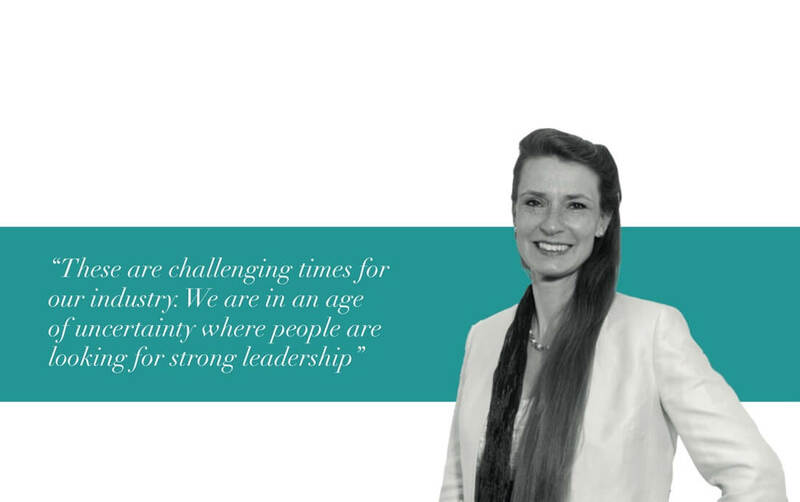 She has recently been appointed to the IAPP European Advisory Board having also served as a co-chair of the IAPP Knowledge Net for the UK, a co-chair of the UK Citi Women Network, chair of the Legal Diversity Council for EMEA, and is currently a Citi Women Community Ambassador. When we spoke to Vivienne she is a woman who has all the markings of a brilliant leader with a high intellect and clear sense of what needs to be done. She encourages us to realise our potential and break through the glass ceiling ignoring the noise and red herrings along the way. She rmly believes that having a support network is the essential platform from which you can stride forward. Vivienne sees that younger women want things more quickly and says, ‘I am aware that what worked for me was a di erent environment then and so I try and put myself in their shoes. But to make a good leader you must engender trust so people feel that they want to follow you. Have integrity along with a powerful vision too and lead from there. Leadership does not mean being loud, or being centre of attention. In fact being the steady, quiet voice can also make an impact and make you a strong leader. Be yourself and be con dent in that. Vivienne notes that the Gender Agenda is important but can be swept away by other changes happening within the world and within industry. So we must keep to the fact that diversity makes business sense and should continue to be an economic argument. She believes that here needs to be a balance in life because we cannot run on empty, making work our only focus. A support network is essential for success whether you are in a middle or senior role as this is an essential key to being happy at work and give your best. You have to have positive home support too so you can make the most of your career and enjoy it.